Multi-sensory films can be really entertaining and it’s always a big fun to watch them, or better, to experience them with your five senses! More and more people are becoming eager to try these new attractions and their popularity is increasing among park enthusiasts. XD technology is constantly evolving and everyday there is a new product on the market. Staying current with this niche is not so easy, especially for park owners, who have to deal with several attractions for their structures. How to pick the right XD film when there are thousands of them out there? What is that makes a XD movie a really good one? What are the best features a multi-sensory film must have in order to success? This is what you should keep in mind when choosing a movie for your theme park multi-sensory cinema. This is the most important thing, period. Keep in mind that XD movie are usually very short – ride films, especially, finish around the 5-minute mark. Think at a multi-sensory movie as a pop-song: it has to be catchy, it has to move you, you have to think about it in every moment of your day, even if you're busy doing something else. Pleasure, fear, glee... you name it, you have it! There are emotions galore in a XD film, that's what makes them so memorable for kids and for adults too. Do you want people to talk about your cinema as the best attraction ever? Give them goosebumps, give them thrills! Word of mouth is one of the best form of advertising – in order to increase buzz around your cinema you have to amaze people with a remarkable film to talk about! 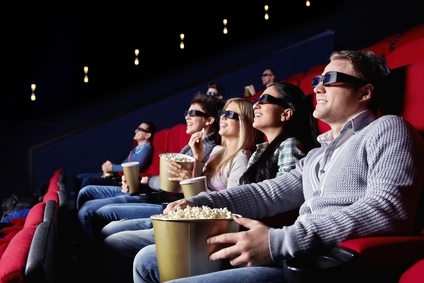 A XD movie is not just the result of 3D video objects projected on screen combined along with physical effects inside an advanced theatre. Technology plays a crucial part in multi-sensory films, that's for sure, and special effects are in a constant state of evolution, but this technological advance has a great downside: it's very easy to go too far. You want to provide your audience a positive experience, not a stressful one. It's good to have a wide range of effects in your movie, but they have to be there for a reason. Focus on quality over quantity, this is a golden rule that really works when dealing with special effects. If you feel that everything is in its right place and you don’t notice at all the impact of technology in the movie, that means that the pieces fit. Taste is something that can't be taught, learned or bought, but it's easy to recognize and it really makes a difference in a movie. Everyone loves a good story and in a XD movie you're actually inside the story: you are surrounded by images that are so vivid you can think they're real, your seat shakes and astounding effects are all around you. But, if you want to totally involve your audience, you need a story that resonates with them. Emotions become more powerful if put in a proper context. XD movies are short, but that doesn't mean they have to be pointless. Quite the opposite, viewers have a limited time to understand what's going on in the environment where they are thrown into and a good story is the definitely the best tool to get to the point. A plot is very important for the audience, people need an explanation for what they see! Well, it’s important to be aware how the market is evolving, to know XD film industry and to be up-to-date with all the major trends regarding entertainment, but this is your theme park we’re talking about and no one knows it better than you do! Hence, it’s definitely an excellent practice to focus on latest trends and resources, but try to choose a film that will be coherent with the other attractions you are hosting inside your park. Which kind of emotions do you want your guests to feel? What kind of style do you think they will enjoy the most? What story do you want to tell them? Try to answer these questions with your customers in mind and choosing the right multi-sensory film will become easier! Are you ready to choose your next XD movie for your cinema or simulator? Watch all of our films in full length and let us know which one will better suit your theme park’s atmosphere!